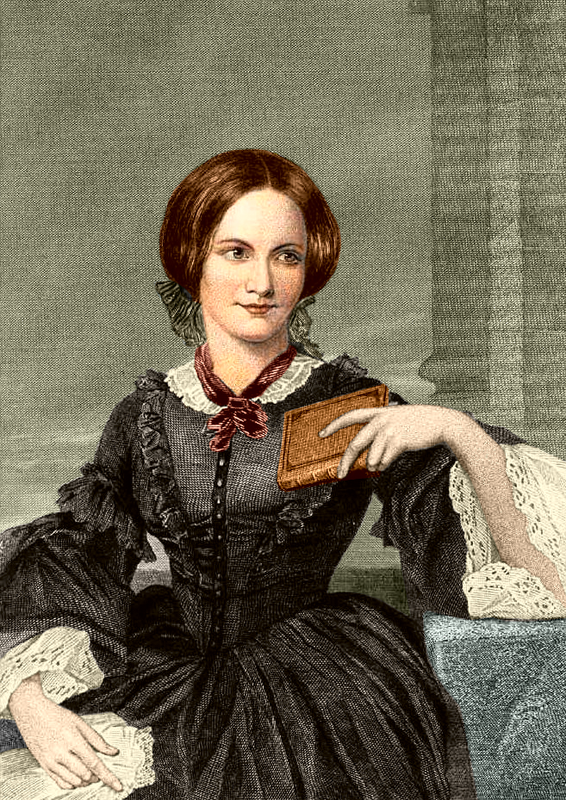 Contest: Name the three Brontë-sisters. 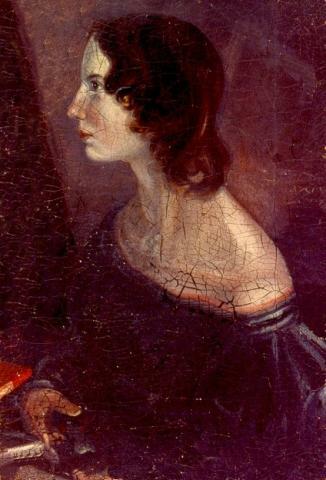 The oldest Charlotte Brontë, of course. A very productive writer, giving us works like Jane Eyre, Villette and Shirley. She was also very active in the community, at least as active as a woman could be at the time (She lived from 1816-1865. To give you an idea of what I mean; a man would until the Aggravated Assault act of 1853 be punished more severely for cutting a shrub (corporal punishment) or beating a dog (imprisonment for 3 months), than for hitting his own wife. Up until then the Act the fine was £5, after the Act it was 6 months in jail). 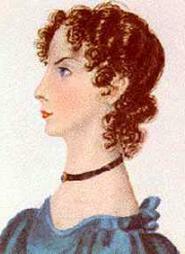 The second oldest of the trio was Emily Brontë, author of Wuthering Heights. Her only novel due to her early death at 30 y.o. And the last one is…..
Poor Anne. Don’t feel bad if you didn’t know that since she is remarkable unknown. That is what we are here to change. In this post and the next I will promote her only two novels, Agnes Grey and The Tenant at Wildfell Hall. Anne really is a little known classical gem. She was never as popular as her two sisters, even in her own time, but she was more known then than she is today. In my eyes, the most interesting aspect of Anne’s writing is that she is much more realistic both in story, language and themes than her sisters. This might actually be one of the reasons she is so unknown today. Agnes Grey and Wuthering Heights were published at the same time, and Wuthering Heights sold much better. For the people who haven’t read Wuthering Heights, it’s a dramatic and tragic love story. Wuthering Heights is drama with a capital D, Agnes Grey not so much. Agnes Grey is about the daughter of a clergyman. Being the daughter of a man of the cloth means she is educated, but poor, and her options in life are limited. A task very often taken upon by women in her position (including Anne and Emily in real life, who were also daughters of a man of the cloth) was being a governess. A governess could be seen as a mix of teacher and nanny. The story then follows Agnes Grey as she moves from household to household, just trying to survive and be a good person and governess to these children. The children are depicted in the book as regular, upper class children and in my opinion highly believable and an interesting aspect of the book. I observed, on the grass about his [one of the children she is set to govern, on her first day] garden, certain apparatus of sticks and cord, and asked what they were. The upper class in England have always had a mixed relationship with animals and animal cruelty. That is pretty much it, and which is one of the reasons I loved it so much when I read it. I wasn’t prepared for something so simple and mellow. Usually today most films and books use a lot of drama to cause conflict, but there is so much conflict in the every day as well. Like in the meeting between a highly Christian and devout woman and an upper class boy who is taught that as a man he is allowed to be cruel to both animals, his sister and pretty much anyone. There is also a love story, but it’s not a huge love triangle with people swearing revenge and plotting to ruin peoples lives. It’s people who get to know one another, misunderstand and finally (spoilers) end up together. If you see Wuthering Heights as the end all, be all love story, then this book is probably not for you. I liked Wuthering Heights, but to me it’s more a tragic story than a wonderful love story. 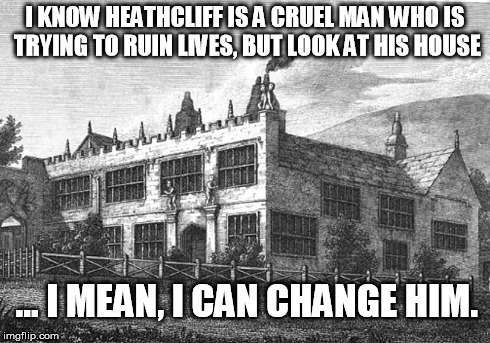 I saw Cathrine and Heathcliff as two people who were used to being the most intelligent people in the room, and how tragic that can actually be. There is also the aspect of the Brontë brother. Branwell was between Charlotte and Emily in age, and was an alcoholic. He was also very charming and intelligent. He worked as a school teacher and writer himself, though not being able to get very far with it due to his drinking. You can interpret Branwell into the writing in the Brontë sisters, most notably in Wuthering Heights. A charming man is denied the life he thinks he should have, turns incredible sadistic, and while he doesn’t get a happy ending, his actions were necessary to get Linton and Cathy together. Heithcliff is also buried next to Cathrine in a sense that I have no idea that Cathy would have allowed. You can question on weather or not Emily saw her own brother as a Byronic hero, flawed yet trying to do his best, and therefore romanticises it a bit in her work. Anne goes the other way, being known for condemning this kind of behaviour. Both in Agnes Grey and in The Tenant of Whildefell Hall, being an alcoholic means you are the bad guy. This can also be explained with the fact that it was Anne who nursed Branwell when he got sick. Maybe being the one who really saw the consequences of alcoholism, at least more than her sisters, made her refuse to romanticises it the way her sisters did. A point visualised in a comic by Kate Beaton http://www.harkavagrant.com/index.php?id=202 Where the three sisters are out “dude watchin’” and Emily and Charlotte are drawn to brooding, myserious men. Anne states that they are assholes, and gets berraded by her sisters for not having good taste in men. One last point for Agnes Grey (I will talk more about Anne Brontë in the next blogpost, which will include another theory as of why she isn’t as popular as her sisters). Reading books from the 1800 can be difficult if you aren’t used to it. The language and way of telling a story has changed in 200 years, as it should be. If you want to read more books from the period, but find the task daunting, I would highly recommend Agnes Grey as a steppingstone. The book is rather short, and the story is very simple. You don’t have the thousand-and-one sub-plots and characters as you do in Charles Dickens, and the language isn’t as romantic and bombastic as some of the others book from that time can be. It’s much more simple, which is one of her greatest features. Simple, yet sweet. A hundred percent agree with you. I love the simplicity of Agnes Grey. Agnes Grey really doesn’t get the love she deserves.